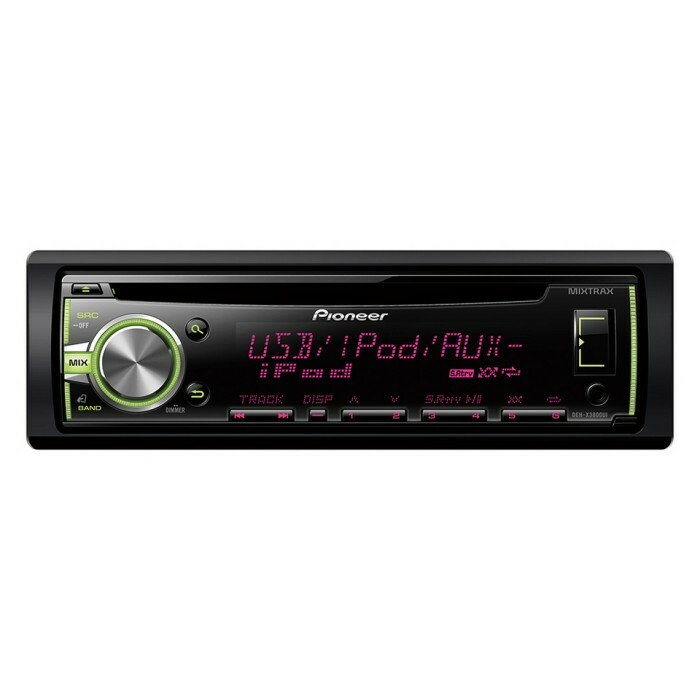 You'll get the most out of your music collection with the DEH-X3800UI. 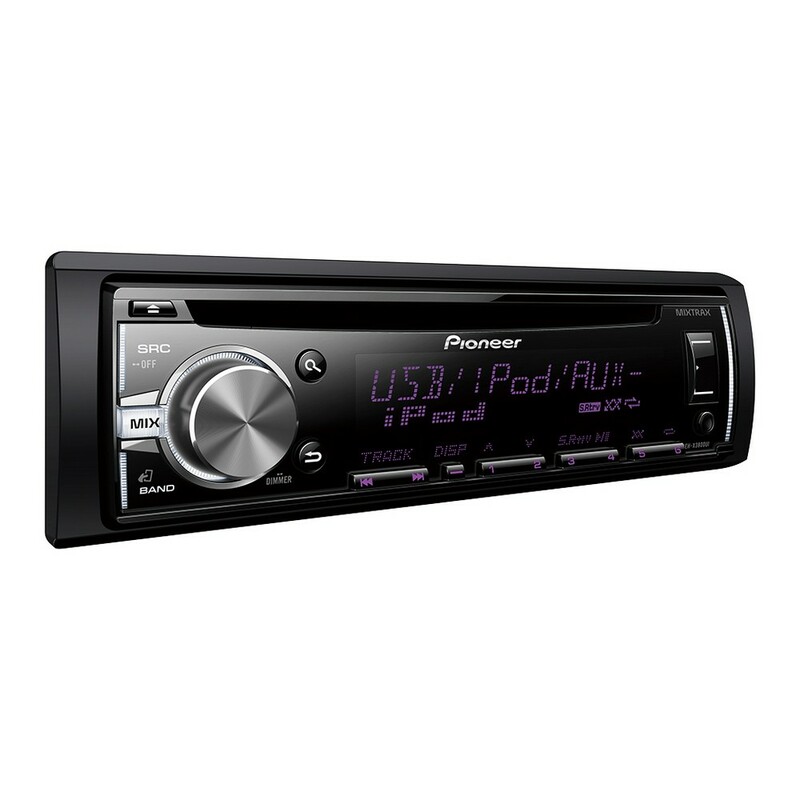 Tune into the FM radio, listen to a CD or connect your smartphone (and other music devices) via the front USB or Aux-in. This stereo also works in conjunction with a pre-installed handsfree kit, allowing it to mute any audio when the handsfree kit is in use for a safer drive. 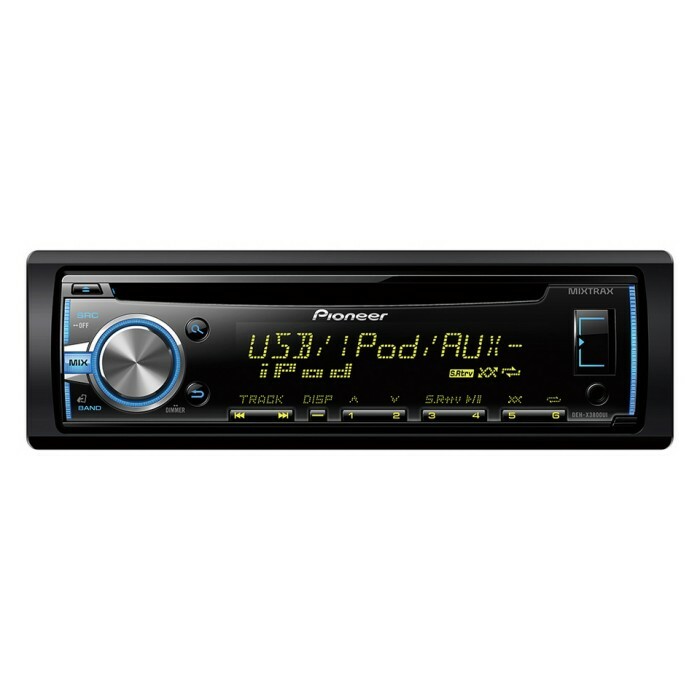 Would this stereo fit my car? Let me know please. yes it will fit into your car, providing your seat doesnt have the factory screen with the aircon built into the radio. I believe that the size will be ok as its single din but will I need any adapters for the harness or any additional wires for the Aux, usb and steering stem controls ? Thanks for your question, on some of the earlier year models of 206, it can be a straight fit with no parts required, we have shown some parts below anyhow. We do not supply AUX cables but you can purchase them fo as little as �1, the USB would be your phone lead or a USB stick. thanks for your email, today the questions are being answered by the Leicester store, I don't know if anyone has answered this query before today. What factory radio do you have in the Audi? its good for my car?i need specjale cable or plate panel ? To fit the DEHX3800ui to your audi you will need the following parts. I have a Honda CR-V from 2006(model 2002-2006) It has an original gps(that's broke). And of course i would like the steering wheel control to keep working. I have a Honda CR-V (model 2002-2006). 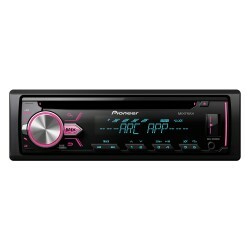 What do i need to fit this radio in my car? I also have steering wheel control that must keep working. If I purchased this item what will I need to purchase with it to then fit it in my car. I have most leads as I already have a different stereo in there. Also will this fit my 04 plate Astra.